I’ve had the great opportunity to work with many large high street fashion brands ( including T.M.Lewin, The White Company, Specsavers and George) throughout my career. My responsibilities at each place varied from designing/developing campaign pages, asset creation, email newsletters and UX consultation. Being a digital designer, I was often required to design/develop campaign pages for fashion brands. It would initially start with concepting an idea how to market the campaign online and then gathering the assets for the campaign in order to design a page/microsite around it. I was sometimes also required to art direct the photoshoots, getting the right images needed for web and also coding it up after design was signed off. 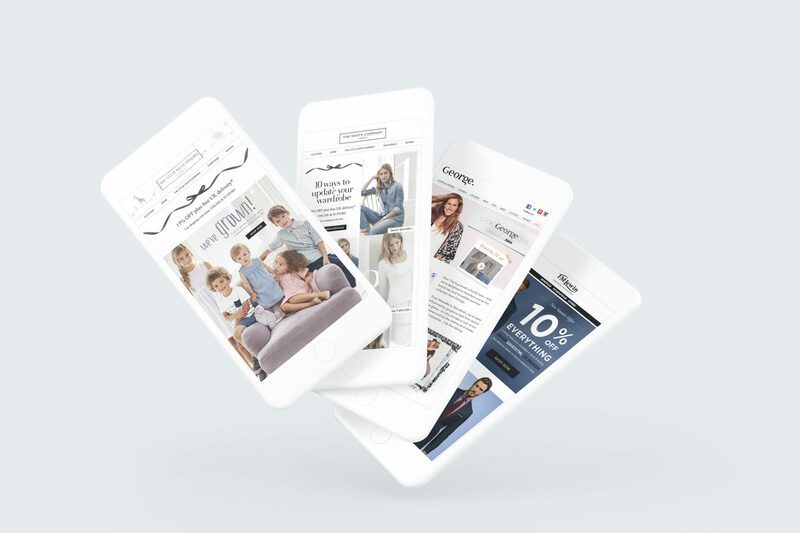 Occasionally I would help out with email newsletters, working closely with the CRM team to deliver strategic content in rich creative layouts that maximised the capabilities of limited email deliverables. Being efficient in front-end development, I usually do code up my own emails; reducing time between design and development. At T.M.Lewin I was responsible for developing a responsive coded template that allowed other team designers to easily develop their own designs too. This site was created over multiple cups of coffee and a few rounds of whiskey. © Hardywho.com All rights reserved.